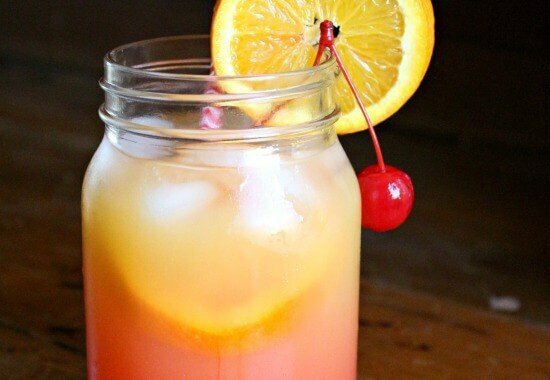 Classic Long Island Tea is a great, basic cocktail that allows you to create hundreds of variations! While it looks like a big, frosty glass of iced tea in reality it contains some pretty serious ingredients like gin, tequila, rum, and vodka. 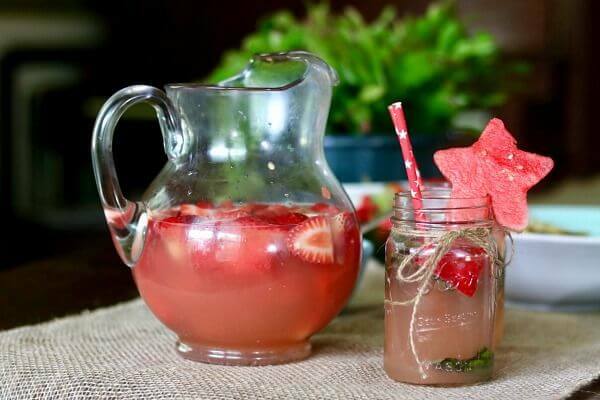 It’s refreshingly perfect for summer sipping! Ok. 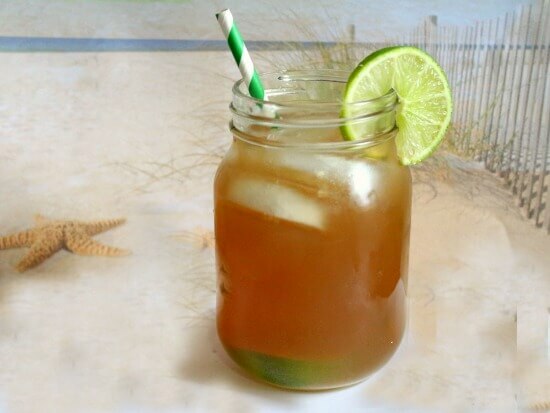 This Long Island Iced tea is a cocktail that comes with a lot of controversy. I’ve always understood that it was created during prohibition because it resembled tea. I remember my dad making them during the summer pool parties in the 1960s… but some people say that it wasn’t invented until the 1970s… and many people put this drink in the category of “Frat Boy Drinks” that are disgusting. Whatever. I like it, I think Long Island Iced Tea is a classic, cocktail and I think it’s worth knowing how to make. Since this is my blog I get to say what I want. A Long Island Iced tea is the basic for all of my favorite drinks at Logan’s Roadhouse. It’s very versatile and you can add a variety of flavored vodkas to tweak it perfectly for you. Anyway… this is the last recipe for classic cocktails month… I’m not sure where it’s going to go next month. But learn to make this and you’ll have the basics for almost any Roadhouse Tea type drink. Be careful though – this is one drink that packs a punch. I like to dilute it with club soda. Basically just make the drink like the recipe below, strain into you glass, and then add club soda or ginger ale to taste. What Makes a Long Island Iced Tea a Long Island Iced Tea? 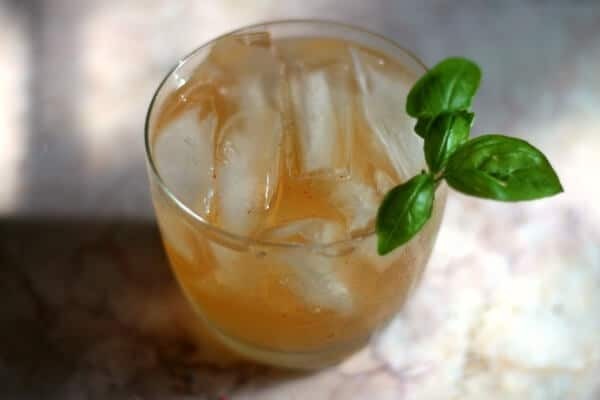 This cocktail was originally a mixture of clear spirits shaken together to resemble iced tea so you’ll find a ton of recipe versions. In its most basic form it’s made up of equal amounts of the big four – gin, vodka, tequila, and rum with a little Coca Cola added for color and flavor. How Many Standard Drinks Are in a Long Island Tea? One glass of Long Island Tea contains four standard sized drinks. With 4 to 5 shots per cocktail it’s one of the strongest cocktails made – there’s usually no actual tea in it at all! Order it “Extra Long” and you’ll get even more alcohol. What Is a Long Island Iced Tea Supposed to Taste Like? 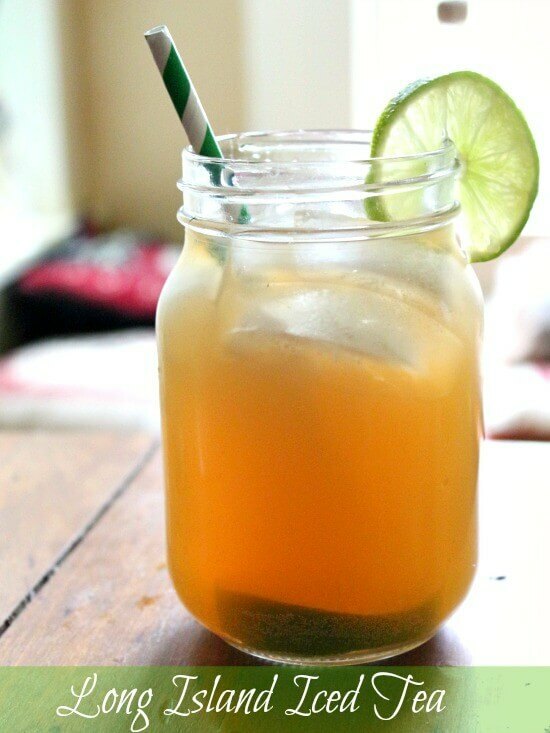 It actually does taste very similar to iced tea – sweet and tangy! How Many Calories Does Long Island Tea Have? It weighs in (weighs in – get it?) at just under 800 calories on average. Can You Make Long Island Iced Tea in a Pitcher? You sure can! Just click on the servings in the recipe below and adjust the serving size up to about 10. You’ll get the measurements for a pitcher full of Long Island Tea! Sour Mix is called for in many cocktail recipes. It’s easy to make at home! Just combine 1 cup sugar and 1 cup water and bring to a boil, stirring until sugar is completely dissolved. Add 1 cup lemon juice and 1 cup lime juice. Keep refrigerated. The recipe below uses the simple syrup (the boiled sugar and water) with an equal amount of lemon juice in place of sour mix. How to Serve Long Island Tea? Serve it over ice in a high ball or hurricane glass garnished with a lemon or lime wheel. This bartender’s set has everything you need to mix fabulous cocktails all summer long! This cocktail recipe is my own twist on the classic. I use Sweet Tea vodka to give it more of a Southern tea flavor but you can use your favorite vodka, plain or flavored. If you like this recipe please give it 5 stars! Classic Long Island Tea is a strong cocktail that was created during prohibition to mimic iced tea. It’s a lot stronger than it tastes so be cautious and drink responsibly! Add everything but the cola to a shaker. Shake gently until well chilled. Garnish with lemon or lime wedge. Perfection. And don’t let anyone tell you otherwise. I love Long Island Ice Teas! What I can’t understand is how they taste like there is no alcohol in them at all yet there is so many kinds of different alcohols in them. Any idea why? I have no clue. It’s MAGIC!